You've joined the chamber, now what? 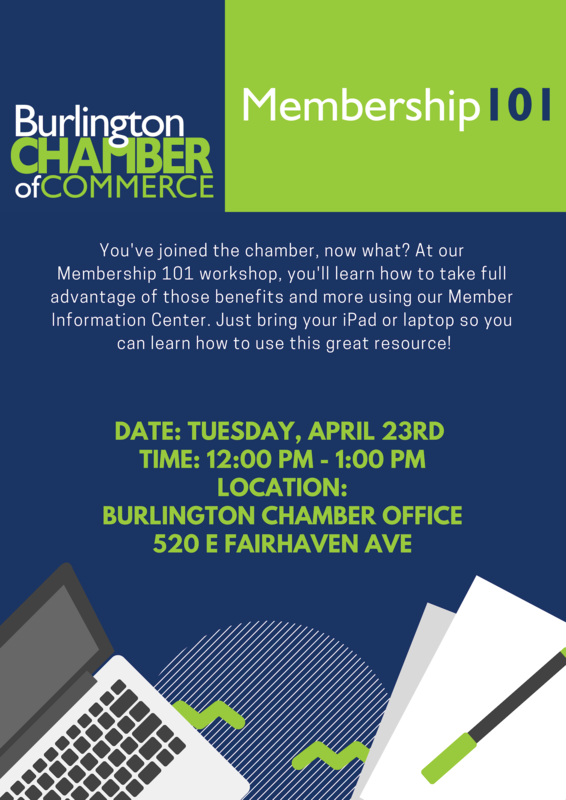 At our Membership 101 workshop, you'll learn how to take full advantage of those benefits and more using our Member Information Center. Just bring your iPad or laptop so you can learn how to use this great resource!